Wow!! 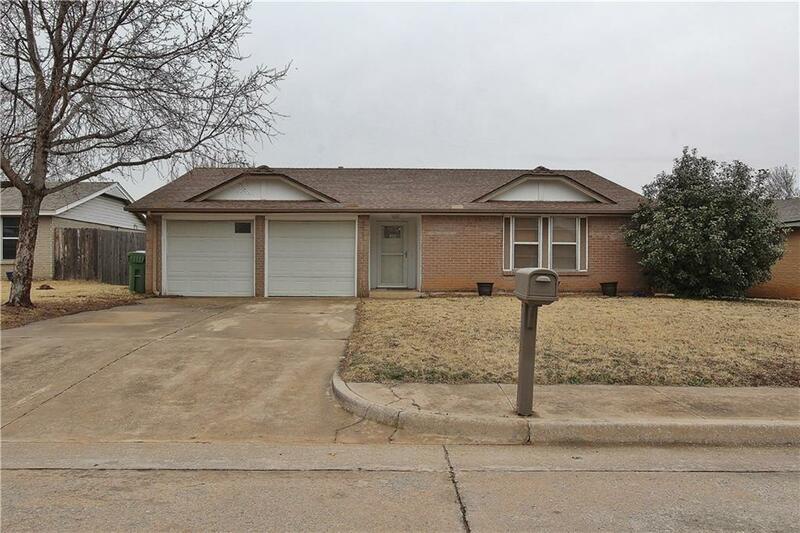 Great home with 3 beds and 2 full baths!! The well cared for home has a huge living space with large bedrooms and great floor plan. Not many homes this size have a two car garage!! The sellers have added a storm shelter to the floor of the garage so no more running from those tornadoes! Wood burning fireplace in the large living room. There is a recently added glass door to the patio and large backyard. New front door and screen door, new barrier door to the garage. Master bath is recently updated and is beautiful. Sellers have added all new flooring so NO CARPET! The heater was replaced recently!! Sellers have done lots to this house and kept it in good shape. This house is on a dead end street so not much traffic.